West Virginia Poker – Is Online Poker Legal in WV? West Virginia isn’t a great state for poker right now, but that could be changing down the road. If any person bet or play at any such gaming table, bank or device as is mentioned in the first section of this article, or if, at any hotel or tavern, or other public place, or place of public resort, he play at any game except bowls, chess or backgammon, draughts or a licensed game, or bet on the sides of those who play at any game, whether the game be permitted or licensed or not, he shall be guilty of a misdemeanor…. The good news is you do have options. We tell you what those are below. Home poker games aren’t excluded from the statute above. So, they’re illegal. With that being said, it doesn’t sound as if the state enforces this rule. There have only been 10 gambling related arrests since 2009. So, you could probably get away with a home game if you kept it quiet and didn’t turn a profit from it. But, like always, it’s a good idea to consult with your lawyer or local law enforcement before you play. 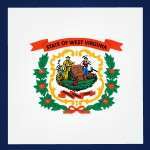 It’s the same – online poker is illegal in West Virginia. Between gambling on games of chance, using gambling devices and the state’s broad/vague definitions of what’s gambling, there’s no reason to think otherwise. You can still try your hand at other poker sites, though. These sites still take customers from the state (albeit illegally). But if you choose a solid site or two, and keep the bare minimum bankroll online, you should be alright. The only legal poker option in West Virginia is live poker. There are a few commercial casinos and racinos in the state. Combined you’ll find 24/7 poker action including tournaments and cash games. There are more than 100+ tables to choose from. From the looks of it No Limit Texas Holdem is the popular choice. How Does West Virginia’s Future Look? Experts think we’ll see legislation as early as 2017 or 2018. They’ve been talking about this since the DOJ changed their mind in 2012 about what the Wire Act means, ultimately deciding to let each state decide what their online gambling laws will be. So, I think we’re still a ways off. At least West Virginia’s considering it. That’s more than what most other states can say right now.